Many of you in the power pop community are well aware of Jeremy Morris, but for those who aren't he might be described as the hardest working man in power pop. Aside from running the Jam Recordings label (The Lolas, The Ringles, Ed James, et al), Jeremy is an accomplished musician who probably releases more of his own music than anyone this side of Ryan Adams. It's a full-time job to keep up with all of his releases, so instead I'll point out his best release of 2008: Pop Explosion. Pop Explosion has a decidedly retro sound, but the tunes are some of his best. 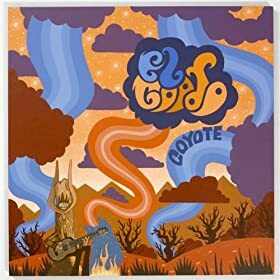 The 60s guitar sound of the melodic "Come on Over" will appeal to those digging the new El Goodo disc; "Come Clean" is a treat as well, with its "Picture Book"-like guitar riff and Mersey melodies; "Time is Running Out" is all Byrdsian jangle, and "You're Gonna Get It" is garage-style Nuggets-y goodness. The ballads are no slouches, either: "The Perfect Love" and "Hand in Hand" are lovely, piano-based numbers that manage to stay just this side of cloying. And like they say on the TV commercials, but that isn't all. If you act now, you'll get a bonus disc of 24 - count 'em, 24 - covers, ranging from Big Star's "Thirteen" to The Beatles' "It's All To Much" to The Replacements' "Here Comes a Regular" to Neil Diamond's "A Little Bit Me, A Little Bit You" as well as covers of Genesis, Yo La Tengo, the Bay City Rollers and many others. Between the two discs, you probably won't find a better bargain. 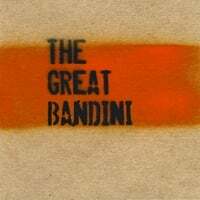 The Great Bandini-The Great Bandini. This Boston band cites Badfinger, Sloan and The Beatles as influences, and rocks a bit harder than them. In addition to power pop, they mix in an 80s new-wave influence as well. Choice cuts: the Sloanesque "Maintain Relaxation", the Raspberrieish "Are You In Love With Him? ", and the driving "Testa Mia", which recalls Ted Leo. But my real favorite here is "No Reply", which captures the rocking side of Big Star's sound. All hail The Great Bandini! 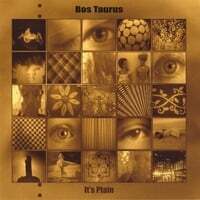 Bos Taurus-It's Plain. This Delaware band adds their wrinkle to power pop by combining it with 80s college rock and 00s indie pop stylings, and it yields a fine brew. Plenty to choose from here, but the picks of the litter are "Dead Inside", which pulls off the time-old trick of matching dark lyrics with sweet melodies, the Bob Mould-influenced "Fool", the melancholy "What Comes Around" and the circa-80s R.E.M. drive of the title track. No bull here: Bos Taurus delivers the goods. Suinage-Shaking Hands. Power pop comes from all over the world, and Italy is starting to make its presence felt. Last year brought us a fine EP from Radio Days, and now their tourmates Suinage have dropped their debut full-length, and a rockin' treat it is. There's almost a bit of late-70s punk influence here as well as frontman Pilli Colombo has an Elvis Costello/Joe Jackson-like sound to his voice (the angry young man version of these artists, not the "respectable" singer-songwriters they became). "Toothbrush" hits you right out of the gate and "Don't Pass Me By" (not a Ringo cover) brims with attitude. They can handle the slower numbers as well - "July" is a nice change of pace here. And you're no chump if you like the blistering "Chump", equal parts Green Day and The Hives. 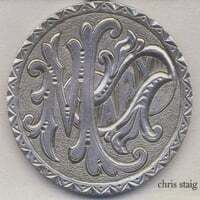 Chris Staig-Mary. Toronto singer-songwriter Chris Staig is back with his fourth solo album, and we were big fans of Davenport, his 2006 release. Staig, who has worked with Broken Social Scene's Jason Collett on his solo discs, offers up another collection of power pop and roots rock on Mary. The proceedings have a loose feel, as "Don't Decline" indicates right away, kind of a mix between The Band and Bill Lloyd. Other standouts include "She Haunts These Rooms", the inspiring "Remember to Breathe", the George Harrison-esque pop of "Our Last Chance" and the Dave Edmunds-inspired "Teardrops" (which reminds me quite a bit of DE's Springsteen-penned minor hit "From Small Things"). My advice: Staig the course! 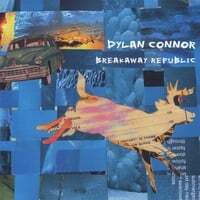 Dylan Connor-Breakaway Republic. Dylan Connor hails from the unlikely musical hotbed of Bridgeport, Connecticut, and he released a fine but criminally overlooked EP in 2007 titled Breakdowns & Hymns. Fortunately for us, he's reprised the best tracks on the EP as part of his fine new full length Breakaway Republic. Connor falls somewhere in between power pop and indie pop, but whatever label you choose to apply, he has a way with a melody. The 80s-inspired "Breakaway & Burn" kicks things off in high gear, and "Stunning Insights" recalls Robert Pollard. Other treats include the Nada Surf-style pop of "Don't Let Me Wash Away" (a highlight from the EP), "I Want Everybody to Know", and the rocking "Pave Me". 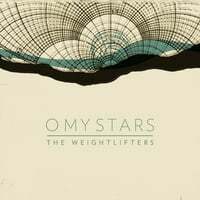 The Weightlifters-O My Stars EP. Adam McLaughlin & Co. are back at it, following up 2007's excellent Last of the Sunday Drivers EP with another extended play, O My Stars. Had you put these two EPs together, you'd have a year-end top 10 contender. O My Stars is of a piece with the first EP, so if your tastes run in the Pernice Brothers/Elliott Smith/Teenage Fanclub area, you'll want this one. Top tracks: "Perfect", "Belle of the Wrecking Ball" and "Battlesong". Like they say on Sesame Street, this post is brought to you by the letter "J". Today we bring you two singer-songwriters named Jason and Jesse, and aside from their first names beginning with the same letter, they have a similar style that pop fans will find pleasing. Jason Karaban-Sobriety Kills. 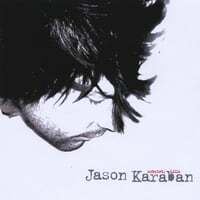 LA's Jason Karaban splashed onto the scene in 2006 with his debut disc Doomed to Make Choices, and then issued another disc of songs not included on the disc titled Leftovers, which may have been even better than the proper release. Reminiscent at times of artists like Micheal Penn and Willie Wisely, Karaban serves up another quality release with Sobriety Kills. Highlights include the plaintive title track, the piano-based pop of "Middle of the Storm", the honky-pop of "Because I Love You", and the waltzy ballad "All In a Day's Dream". No sophomore jinx here. 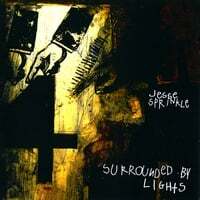 Jesse Sprinkle-Surrounded by Lights. Jesse Sprinkle has become a known quantity in the pop community, delivering introspective, thoughtful tunes with a spiritual underpinning, and Surrounded by Lights, his latest, is no exception. Opener "Where Diamonds Grow", likely inspired by his recent work in Africa with the Ugandan Water Project, is a stunning number that builds slowly and works its way into an Elliott Smith/Michael Penn-like buildup. Meanwhile, "Longing for the Ordinary" is an impressive midtempo rocker, "Better Places" is a fine jangly ballad, and "Wait or Want" is singer/songwriter pop perfection. Between this disc and the one above, you'd be hard-pressed to find two better albums of their kind this year. 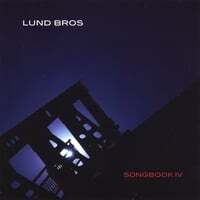 The Lund Bros-Songbook IV. This Seattle band (led, natch, by brothers Chris & Sean Lund) have gone for broke with their fourth album - a sprawling, 22-track double disc set that features everything from, among other things, vintage power pop, hard rock, instrumentals, a ballad about John McCain and a closing Dylan cover. In other words, something for everyone. Highlights: The rootsy "Such a Ride", the Beatlesque "Find the Sun" (which also reminds me of The Orchid Highway), the jangly Chilton-inspired "Magnifying Glass", "Listen" (positively Posies-esque), the 70s Sloan-style rock of "C'mon C'mon", and the laidback "Forget It". Baby Scream-Ups and Downs. Proving there are no hard feelings from the Falklands War, Argentine Juan Mazzola relocated to England and brought Baby Scream with him. Their (his) debut disc, Ups and Downs, is a melodic treat that fans of Teenage Fanclub, The Pernice Brothers and Big Star will enjoy. The gorgeous "Away" opens, reminding me of Cotton Mather's "Baby Freeze Queen", and it's followed by the midtempo "Suddenly", which out-TFs Teenage Fanclub. Just to show they aren't exclusively "soft", Mazzola & Co. rock out on the raucous "Everyday (I Die a Little Bit)", but "Morning Light" and "World from Outside" reinforce their melodic bonafides. Like the Lund Bros above, they close with a cover - a nice version of The Replacements' "Skyway". El Goodo borrow heavily from many bands of the era (Beach Boys, The Throgs, The Byrds), and right off the bat "Feel So Fine", with its dirty-sounding fuzzbox guitars and reverb-drenched production, takes you right back in time with its Kinksian sound. "Be My Girl" would fit right on Nuggets, while "Aren't You Grand" has a Spaghetti Western sound behind its Merseyside melodies. Elsewhere, the gentle "Don't Worry Marie" could be mistaken for a lost Peter & Gordon track, "Informational Overload" recalls "Pleasant Valley Sunday", the horns of "Talking to the Birds" are straight out of Love, and the jangly "I Can't Make It" is positively Byrdsian. Also of note is "Pete", which features vocals not unlike John Lennon's "captain's voice" in "Yellow Submarine" and a feel that recalls the mid-period Beatles' goofier moments such as "You Know My Name". Coyote may be retro with a capital "R", but it's done so lovingly and painstakingly that it's also quality with a capital "Q". The David Bash lists, part 2. There are still some reissues I haven't heard which would probably make the list, but there's only so much time and $$ - ok, mainly $$; I'll always somehow find the time. David Bash's Top 125 of 2008. The Blue Sky Secret-What We Are EP. This was a delightful surprise from a place that shouldn't surprise anyone who's been following power pop lately: Nashville. Although the band members mostly come from a Christian music background, their EP What We Are is Grade-A (secular) power pop. "In Your Eyes" is a great Byrds by way of Teenage Fanclub opener, "11 Years" is dreamy midtempo pop that recalls The Posies' more reflective moments, and the playful "What Went Wrong" (complete with horns) comes in somewhere between Paul McCartney and Ben Folds. These guys shouldn't be a secret any more. 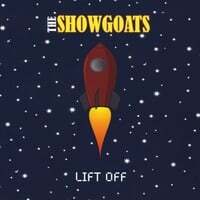 The Showgoats-Lift Off. Another burgeoning southern power pop hotspot is Charlotte, NC, and if you guessed that Jamie Hoover might somehow be involved here, you're right. Hoover produced this disc, and it's pleasing southern power pop (i.e., Americana-influenced) in the tradition of Let's Active, The Windbreakers, R.E.M., etc. "Change Your Mind" is a jangly treat that sounds pretty much like you'd expect off the description above, "Angel" gets good and greasy in a John Hiatt kinda way, the title track is a rocking delight, and "Ride" sits at the intersection of Americana and power pop in a style reminiscent of The Meadows. The Tearaways-Knackered. This SoCal band has been around for quite a while, and they're back with their first new music since 2005's fine Beat Yer Own Mersey. This is a three-song (plus bonus track) CD single or mini-EP, and the title track is the draw here: a catchy, ballsy rocker about playing England. Also present is "Not Gonna Make It", a punchy & poppin' track which appears a second time in acoustic form as the unlisted bonus track, and "Under the Bus", a jangly retro-sounding number that makes use of one of 2008's more overused phrases (as in "throw") but is still a fine tune. Looking forward to the full-length! The Chicago band Leave has always been a favorite, featured on various IPO comps and for their fine 2005 album I'd Rather Not say. So it was extremely sad to hear that lead singer/guitarist Mike Murphy passed away last June. By that point, the band had done much of the recording of their third album, and they were able to release their swan song, On a Happy Note... late last year. As the title indicates, the album is an upbeat affair and an affirmation of, and tribute to, Murphy's talent and devotion to his craft. Leave has always been one of the better "midwestern power pop" bands, the term indicating power pop with a rootsy influence. The breezy and infectious "Hope It Doesn't Come My Way" (featured on the latest IPO compilation) opens the disc and has a Merseyside-meets-Chicago sound. "Take the Easy Way Out" is a fine jangling track that recalls a poppier early R.E.M., and the garage rock of "Again It's Too Soon" is another highlight. Other standouts include the "On My Mind", reminiscent of "If I Needed Someone"; the bright, Gin Blossoms-esque pop of "I'll Get Mine", and the roots rock of "Your Eyes". RIP, Mike Murphy - you may no longer be with us, but your music always will. Back in 2007, a band named Ash Avenue released a fine 90s-styled power pop disc titled And Then We Ignite. But that wasn't enough for lead guitarist and main songwriter Rob Merz, who by his own admission drove his bandmates crazy with all the new songs he had come up with. 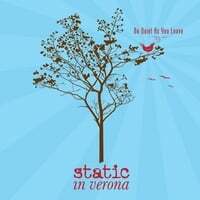 So with necessity being the mother of invention and all that, Merz started a side project called Static In Verona, and Be Quiet as You Are is the debut album, and a fine debut it is. Whereas Ash Avenue was a little more "slick-sounding", Static in Verona leans more to the indie pop side of things, but is more melodic and accessible than a lot of what passes for indie pop these days. In fact, album opener "Drag Me Down", with its ringing guitars and big chorus, wouldn't have been out of place on And Then We Ignite, and "Unlucky Stars" has a bit of a Teenage Fanclub-meets-The BoDeans kind of vibe. But "Dead Bouquet" lets you known things are different: after a two-minute slow-building instrumental opening, it evolves into an Smiths-style 80s-influenced number. The title track is outstanding as well, recalling The Shins. Other standouts include the peppy "Sleeping Alone", which is perhaps the most traditional power pop-sounding track on the disc, and the Elliott Smith-influenced "Pretty". Best of all (for the next week or so only) it's available as a free 256 kbps download from the Static In Verona site (just click on "music"). So go over there, grab a free copy, and Be Quiet as You Leave. 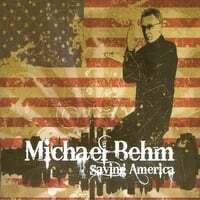 We Americans may have elected Barack Obama for the job, but Canadian Michael Behm is Saving America as well - one power pop fan at a time. The Vancouver rocker's second disc is a great way to start off 2009, and its late 2008 release date means I have one slot on this year's top 125 list already filled. Vocally, Behm sounds quite a bit like Tommy Keene, and a listen to the opening track "Don't Believe" will have you thinking you stumbled on a lost TK disc as he shares Keene's melodic ways as well. The title track follows, opening with a soundclip from JFK's inaugural address, and while its lyrical content may not please a certain (shrinking) segment of the US population, it's a tuneful number with a big chorus. Elsewhere, "If I Could Learn to Fly" is a fine 80s-influenced midtempo number, "The Art of Letting Go" would have fit in nicely on the recent Rob Bonfiglio album, and "Ticket to Heaven" has that Bleu/Mike Viola feel to it. Also of note is "Underground Epic" a nearly 5-minute song collage similar to those fancied by fellow countrymen Sloan on their last couple of discs, and closer "Take Me Down to the River", which in keeping with the Canadian comparisons has a Tal Bachman feel to it. While Behm may not end up Saving America, he will save you from listening to mediocre power pop. This one's a little longer than the others, since it's the last of the series. Back to regular reviews next week! Happy New Year to all, and someone commented in one of the previous top songs threads that he could only hear about 20 seconds of each track. Anyone else having this problem? UPDATE: According to the commenter below, the Lala embeds only work in full song mode if you're in the USA. Apologies to my overseas readers; if anyone's aware of an equivalent I can use that works overseas, please let me know.